I performed a social experiment last night. I put the following out to my network. True or False? Business is personal. Why or why not? It’s personal, because you care. Some business is, some isn’t. My business is very personal because I own it and my clients and bosses are also my close friends. Business is personal because (especially when you start it or own it) your relationships and your brand are all you really have at the end of the day. Business is personal because it involves people, working in HR and having to lay off people off you learn how personal it is. Last time I checked that has something to do with being a person and having successful relationships. True. What you know can get you in but who you know keeps you in and gets you more opportunity/visibility. It’s done by people for people. What I put in is personal. What I choose to put in at a given moment with certain persons is just business. What I get can be personal or business. I know that my best is personal. And also that I must shield personal to not let things outside my control get to me. Or at the least ensure that personal is reflected to those in the right situation and the right time to reflect my integrity. At some point you must ensure that personal integrity is the core that is most important and that business will be or not be. I’m not sure it’s possible for business to not be personal. Business takes our most valuable resource from us…our time. Why is it more difficult today to decouple business from personal? People have a cornucopia of options and there is usually more than one line to the decision maker. Don’t believe me? Ask my 71-year-old mother how many stations they had access to for news, how many brands of peanut butter there were, and how many jobs were available to women forty years ago? Now more than ever, we have access more information and people, and so do others. It’s our job to connect, create, share, and show up (consistently.) Long gone are the days where relationships are linear. And really, they never have been. Relationships are circular. Write that down. They are round, not square. Today they just transcend bigger and broader than ever…influence is everything and title means nothing. People do business with people they trust. Oh, and trust is personal. Money (and business) doesn’t grow on trees. You have to either earn it yourself or convince the right people to invest in you, your product, service, organization or social cause. If people don’t know you directly or through someone, how do you expect them to make a deposit? Do you deposit money in untrustworthy bank accounts? 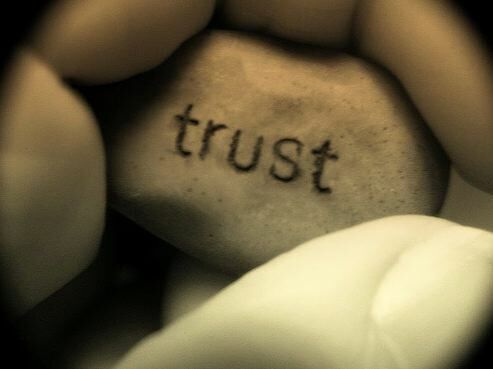 Trust doesn’t happen automatically. It’s a process with layers. It takes consistent delivery, impeccable service, and authenticity to build .. and it doesn’t stop there. People talk to other people and bad word travels fast. Options and trust are big ones, but the rate at which data and information spreads today can kill deals, ruin relationships, destroy financials and ultimately put you, your organization, or your social cause to rest. Anything written down can and will be used against you. In a world where it takes seconds to email, SMS, tweet, blog, or share something from any corner of the earth, we ought to be mindful of how quick things can happen and drive unintended consequences that are often hard to reverse. Ask the Susan G. Komen Foundation or Chick-Fil-A, two organizations who took a beating in 2012. Think individuals are immune? Kelly Blazek, Cleveland’s Communicator of the Year got a lesson in viral wildfire just last month. My mantra? Do remarkable work that people cannot live without rooted in firm trust. Remember, they have options. And be aware. The world is more connected, more visible and more social than ever. 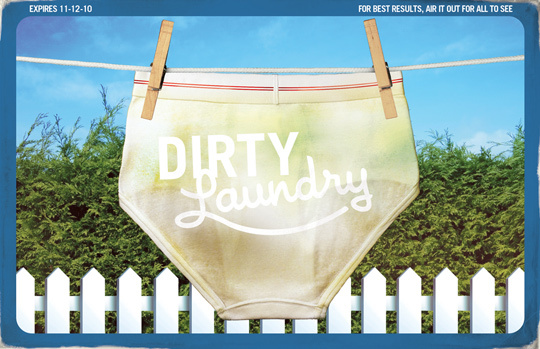 And never, ever, ever, give anyone any reason to share your dirty laundry. You want that stuff to smell like roses and be squeaky clean! Because my friend…business is personal. Have you had a “transactional” business experience or similar situation in a personal relationship? What was it like? What did you learn? How has it shaped how you do business? 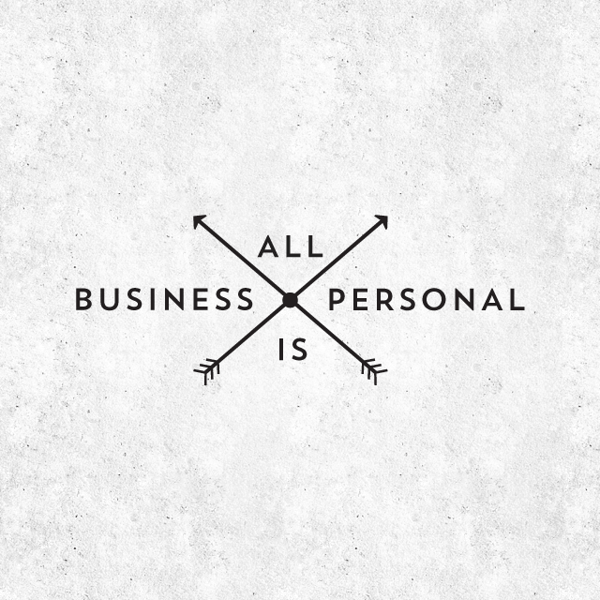 Business should be personal because business should be “principle centered”. Our principles, or our values, whatever term you like, are our own. When we operate in a business environment according to our core values, then we are bringing the essence of our person onto the job. Business priorities change with changing conditions, but core values should never changed or be compromised. I read a great related article today on HBR. It says … The service mindset is uniquely different from the performance mindset. It isn’t built by an external set of rules or process, but grows from a set of deep-rooted values that are lived minute-by-minute by leaders. In short… Integrity matters… Consistent integrity matters. It’s like the old cliche’ that gegnuine integrity means doing what is right, even when no one is looking. If I can stick to that principle, I think my chances of building positive relationships increases significantly. Chris – Love your perspective on doing the right thing when no one is looking. I wonder how many people out there do that. This post has so many great quotes and lessons…concluding with Mr. Frank’s input. I need to write that down and keep it as a reminder! This is an article to print, keep, read once a month. My company was built on passion, Faith of God, ethics, ethics. Most people have companies based on market, revenue. 20 years I’ve experienced good, bad, not only financially, but in happiest most memorable and batrayel. My passion is a part of my calling. You have to be thankful for good and bad lessons, it’s part of growth.